This project proved challenging because the design including the salvaging of and existing building on site. The existing one story pre-engineered building is constructed using a repetitive structural frame placed in a linear series and best resembled two narrow rectangles placed side by side. Structural stability for the building is achieved through the combined efforts of the structural frame in one direction and the building skin, attached to the frame for forces in the perpendicular direction. The existing building is designed to work as both cafeteria/cafe and meeting rooms for the new three story laboratory also being constructed on the site. Utilizing the existing structure for the new program presented many challenges for both the architectural team. Renovation of the existing building meant structural, acoustical, and vibration mitigation was necessary. This added complexity came about because of the proximity of the building to the future expansion of the Exposition train line. Beginning with the removal of the existing skin each frame was temporarily connected to stabilize the lateral load while vertical supports were fashioned to the steel frame for excavation of new concrete footings. The movement of trucks and personal on site resembled that of ball room dancers as heavy machinery moved eloquently between the frames transporting tons of fill throughout the site. 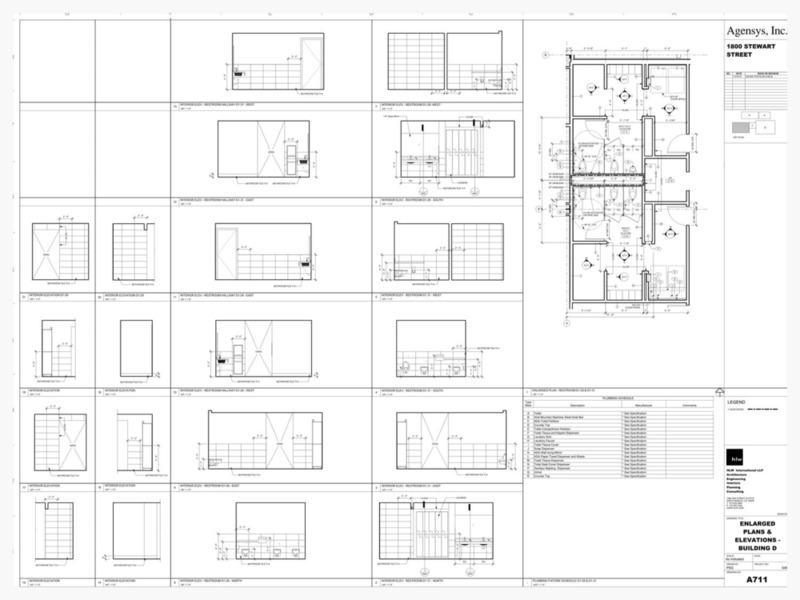 This project represents my first exposure to retrofitting and renovating an existing building. Not the typical retrofit by any means, but certainly encapsulating the complexities and challenges that can develop from site conditions, location, and conformance with building code. The adaption of the existing building works to connect the new building back to site and how the site was first utilized. The design employs a connection to the past and the surrounding area by providing a gateway through property to an adjacent arts district. A path from the street, identified by various art installation, passes the individual through the frames of the existing building and traverses site to the adjacent art studios. The recognition of the past and working to adapt existing buildings represents a great challenge to both the architect and the general contractor. The salvaging of the existing building makes the final project more profound and impactful for those living and working in the neighborhood.